Several readers suggested that I tie the little Flower Garden quilt, and that idea really appealed to me. I’ve never made a tied doll quilt before, and I thought it would be fun to try. 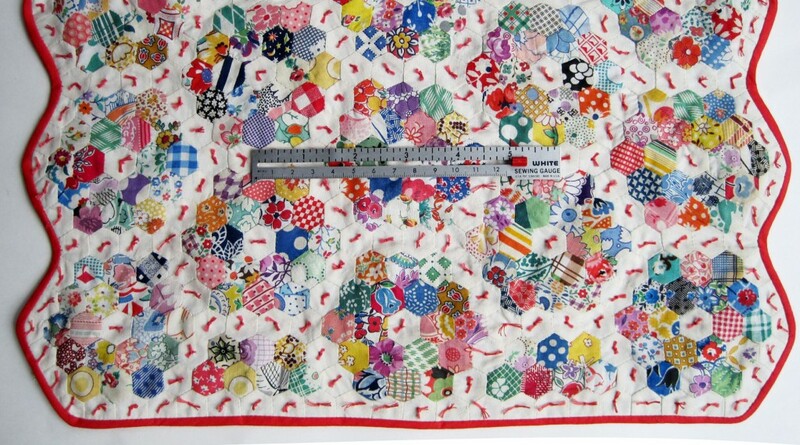 The top, backing and binding are vintage fabrics — the batting is an old flannel sheet. 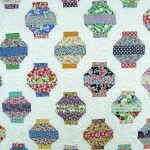 Although I’m fond of the backing fabric, I wish I could have found a piece with a smaller print. 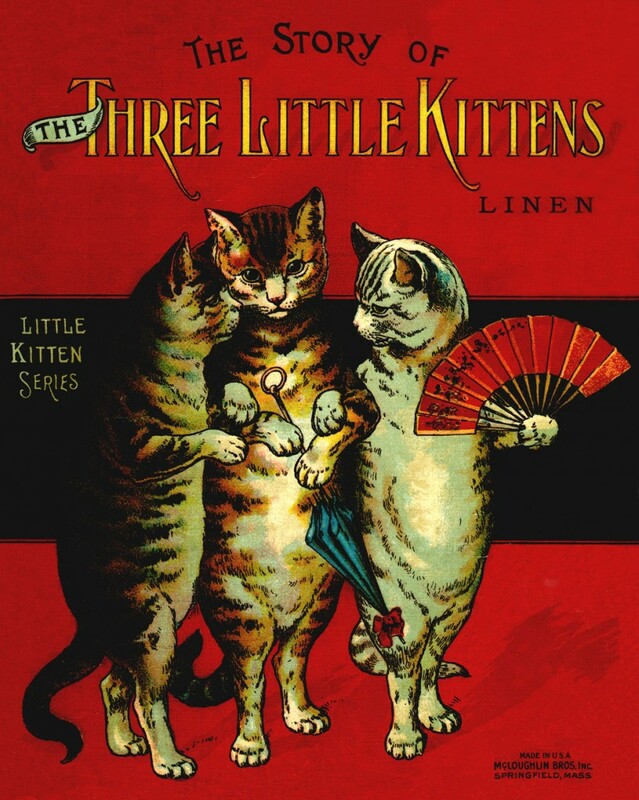 The ties are 3 strands of embroidery floss. 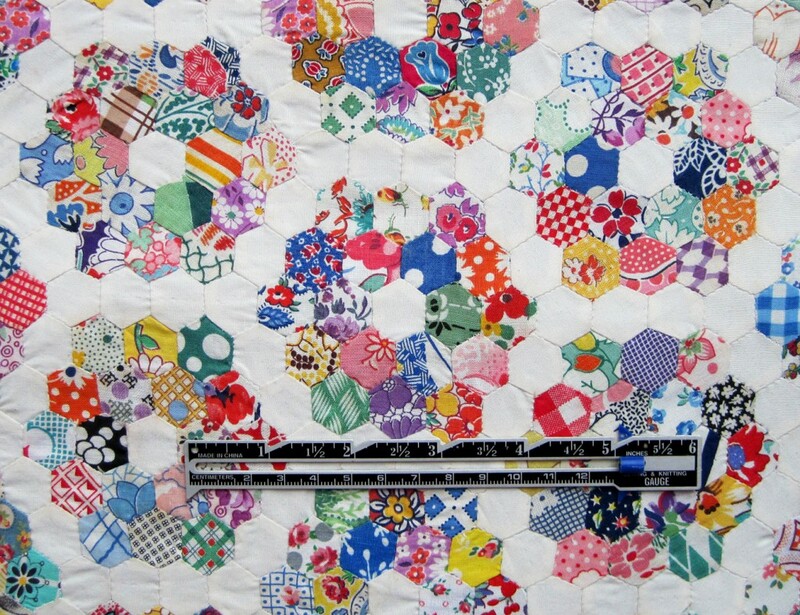 I fondly remember all the utility quilts made by my Grandmother Dellasega (Grandma Dell). They were extremely heavy, so I suspect she may have used worn quilts or blankets as batting, which made them very warm and cozy. 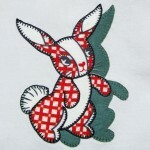 The patterns were simple and I don’t remember them as being particularly pretty, but I loved them just the same. 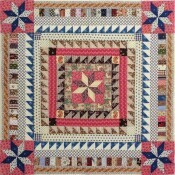 One of the things that struck me about her quilts was how closely tied they were. 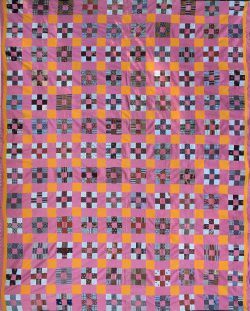 The yarn colors never matched the quilt, so they stood out — I’m sure she used whatever yarn she had on hand. 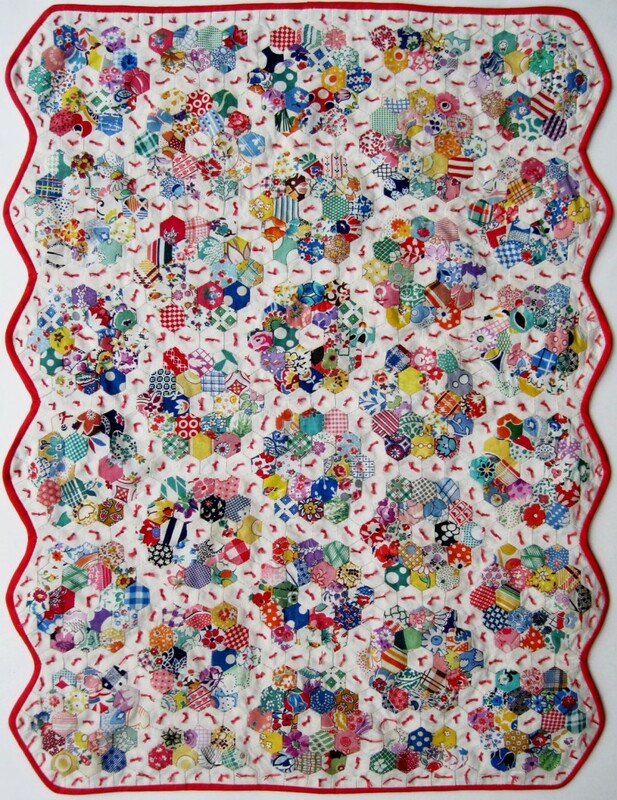 I never saw her make a quilt, but as a child I remember thinking that it would take a person a really long time to tie all those knots. 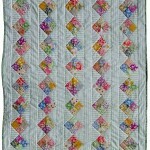 In homage to her, I tied this little quilt in Grandma Dell style. I think she’d like it. I hope everyone has a wonderful August — I will be back in September. The top is done and I think it looks pretty cute. There are puckers in some of the white path pieces, but I can live with that. 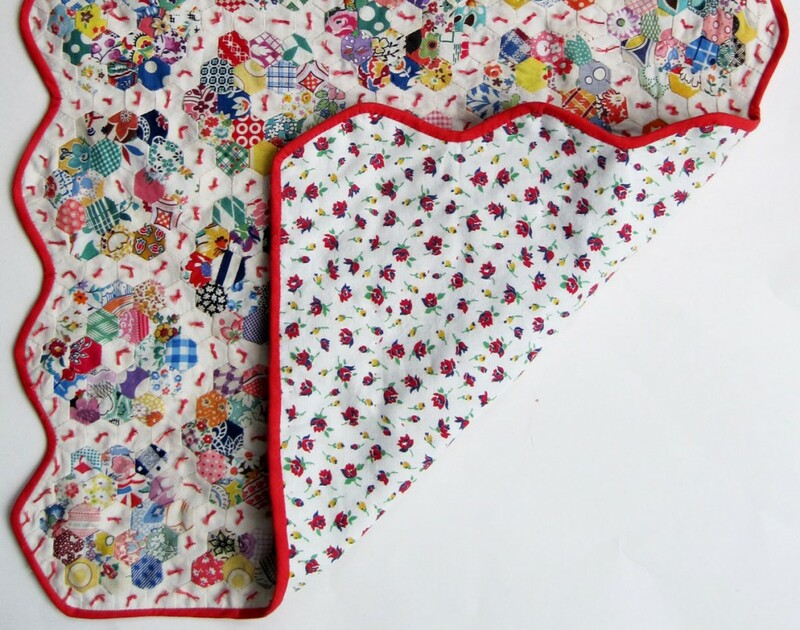 It’s tricky sewing the rows together since the pieces are so tiny — the flowers were easier to stitch. I wasn’t going to post a photo of this quilt until it was finished. The quilting was almost done when I stepped back to take a look and realized I didn’t like it at all. 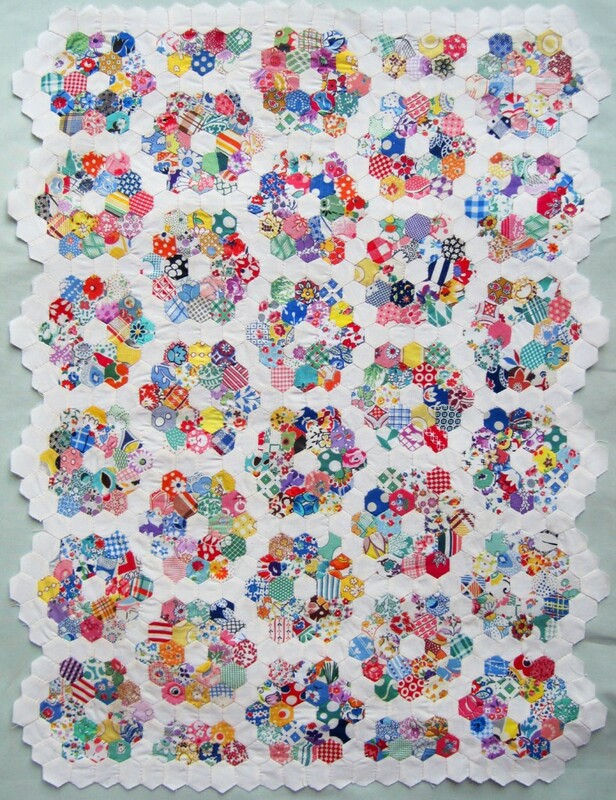 I had quilted concentric hexagons in and around each of the flowers, avoiding the intersections where the fabric is thick. I probably wouldn’t quilt through the middle of a hexagon on a normal sized quilt, but this doll size presents a real challenge since it’s hard to make tiny stitches through all those seams. 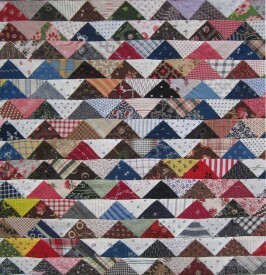 I ripped out all of the quilting, and hopefully I’ll come up with another idea soon. The top measures 17″ x 21″. Instead of a penny for scale, I used my little sewing ruler which has inches and centimeters. Steffi pointed out to me that she didn’t know the size of an American penny until she happened to find one when she was visiting Denmark.